We have five years of experience in developing, production and sales chiavari chairs. 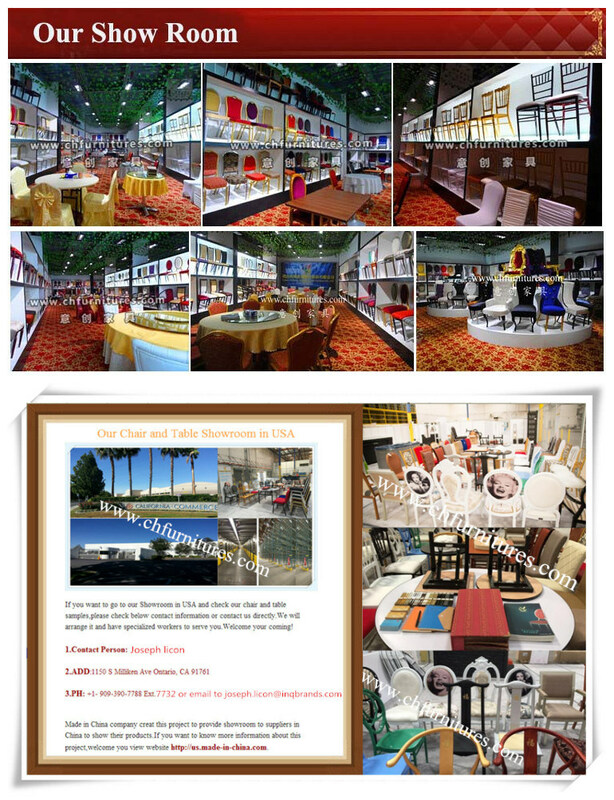 Our factory is specilized in wedding furniture. 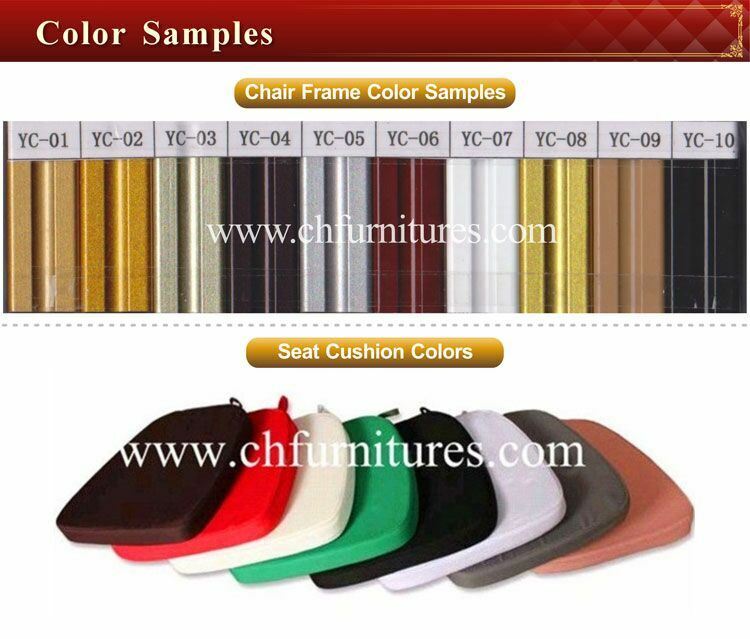 Wedding chair is our best sell product. Except for wedding chair, our factory have many different kind of aluminum chairs, steel chairs, banquet table, transport tucks, dance flool, stage, chair cover and table cloth ect. Silver. Gold, black, white, wine red is available. *Fabric color: Red, there are many other fabric design and colors for you to choose and it also can be made fireproof in uk(bs5852) or us(ca117)standard. *Loading: 20gp: 477pcs, 40gp: 900pcs, 40hq: 1100pcs. 2. Stack the chairs in 9pcs -11pcs in one stack. 4. Packing by a big stronger bubble bag and a big stronger Plastic Bag to avoid the hit in transportation. Stackable design to save space and shipping costs. 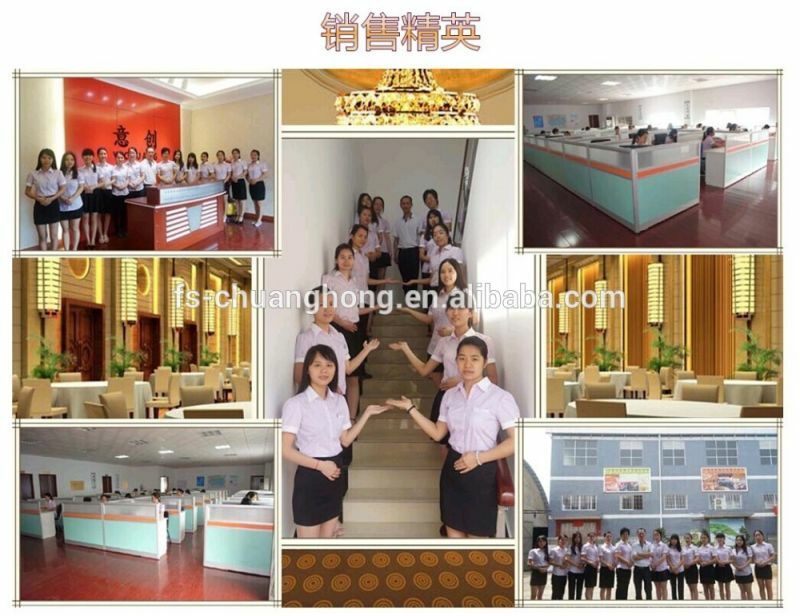 We have a Professional and Big Sales Team to provide you good service.Also we have Showroom in China and USA where you can check our samples and quality!Welcome your coming and visiting! TubeÂ ColorÂ White.Silver,gold,black,wineÂ redÂ isÂ available. FinishÂ SprayÂ painting.PowderÂ coatingÂ isÂ available. FabricÂ Â Â Â Â Â Â Â Â White.ThereÂ areÂ manyÂ otherÂ fabricÂ designÂ andÂ colorsÂ forÂ youÂ toÂ chooseÂ andÂ itÂ alsoÂ canÂ beÂ madeÂ FireproofÂ inÂ UK(BS5852)Â orÂ US(CA117)standard. StackÂ Â Â Â Â 9pcs/stackÂ orÂ 11pcs/stack.StackableÂ designÂ toÂ saveÂ spaceÂ andÂ freightÂ forÂ you. 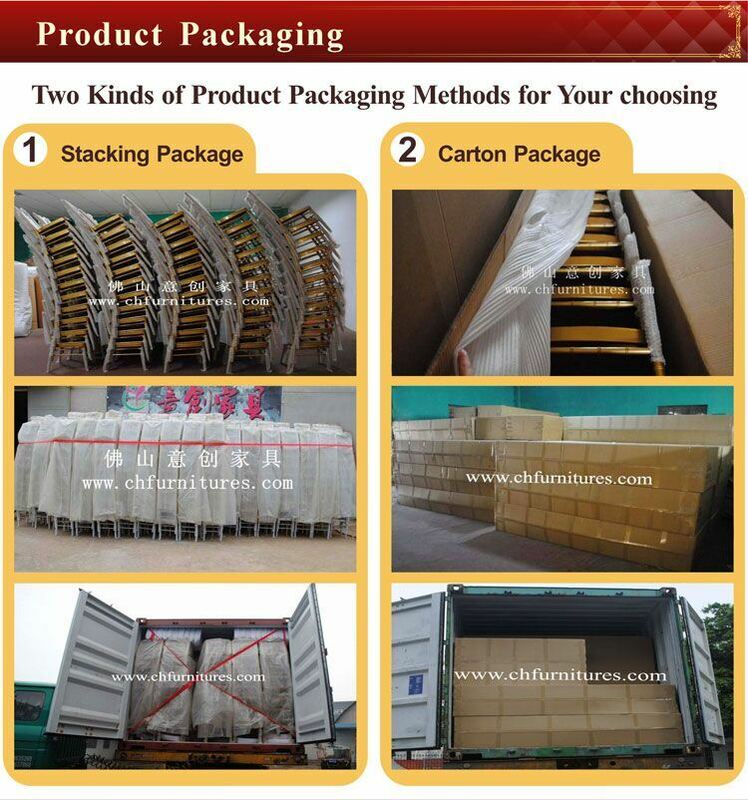 PackagingÂ Â Â 1.BubbleÂ bagÂ packingÂ theÂ backrestÂ andÂ chairÂ legÂ forÂ eachÂ pcsÂ firstly,toÂ protectÂ theÂ surface. 2.StackÂ theÂ chairsÂ inÂ 9pcsÂ -11pcsÂ inÂ oneÂ stack. 3.FirmlyÂ lashedÂ downÂ Â withÂ Â rope. Payment TTÂ Payment.30%Â depositÂ mustÂ beÂ prepaidÂ beforeÂ production,70%Â balanceÂ needÂ toÂ beÂ prepaidÂ beforeÂ shipment. 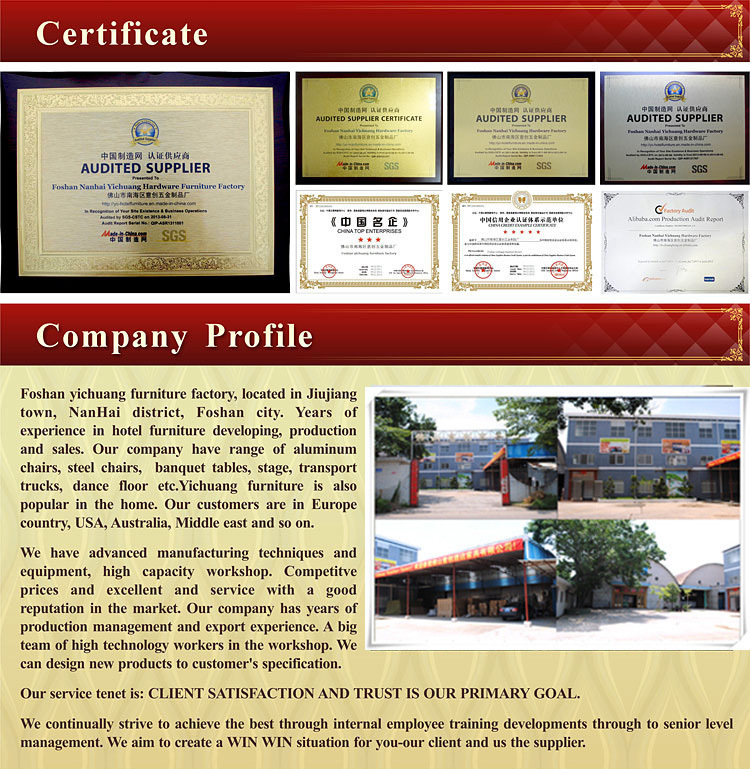 PaymentÂ terms EXW,FOB,CIF,etc.Â ItÂ justÂ dependsÂ onÂ you.